Want to learn more about this awesome online retreat? Check out this video! The retreat is led by Vanessa Vargas Wilson (aka the Crafty Gemini), who I was lucky enough to meet through our Gainesville Modern Quilters group. Each month, participants have access to a new class with a quilting expert teaching unique material. You can learn about all 12 instructors (including me!) and their projects in the video. Plus, Vanessa will be doing a live video chat each month. If you’ve ever seen a Crafty Gemini video, then you know that Vanessa is one of the leading online quilting teachers, and so much fun. Participants will also have the opportunity to interact with the instructors and other students, win prizes, and participate in online activities. Even better if you enter now you can win the entire retreat for free! You have a great chance of winning so enter before the contest ends on Saturday. 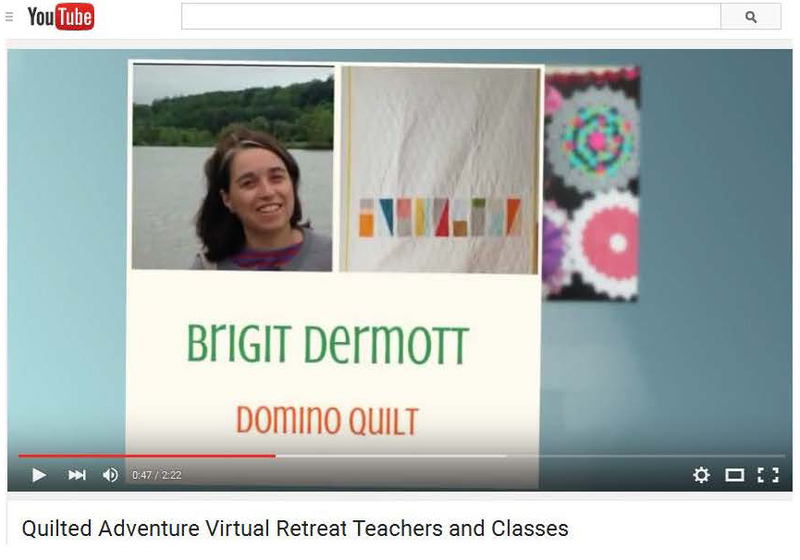 This entry was posted in Quilted Adventures, quilts, small projects and tagged chance to win, online quilting retreat, quilted adventures, quilting giveaway on October 13, 2015 by brigitdermott.